The design was done with maximum respect to the exciting topography of the land, giving it an unmistakable character with respect to the environment. This achieved in a technical, different and challenging track, appealing to novice and professional drivers. The number of corners can be split in 13 right hand, and 13 left hand corners, giving a perfect balanced effort for both the driver and his car. On your way round the track you can find corners with a minimum to a maximum radius, up to 18% banked corners, and up to 12% gradient levels including a demanding chicane. The total length of the circuit is 5.425 Meters wit the possibility to divide it in three different sections and/or combinations. The width is 12.2 Meters on the entire length of the track. The asphalt pavement is of high quality and gives a perfect balance between grip and tyre wear as well as being an excellent drainage. The driving direction around the track is counter clockwise. The environment of our exclusive track is very hard to beat, surrounded by native trees and mountains, and lacking any advertising or grandstands. Maximum care is being taken with the colours for the passive safety defaces to integrate in the environment. 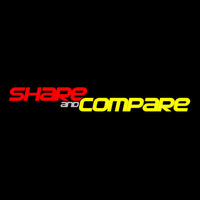 2009 Ducati Streetfighter Ultimate launch film at Ascari! HD 2009 Ducati Streetfighter Ultimate launch film in HD! The all out brutal new Ducati Streetfighter 1098 being ridden in anger at Ascari Race Resort in Ronda, Spain. Vito Guareschi and Tor performs a little duel and Megadeth rocks in the background with the song Holy Wars from their epic Rust in Peace album. Klaas Zwart, the Ascari Race Resort owner chats to us at the end. Only Raptorsandrockets.com make films like this. Enjoy it!